Six months ago, Daniel's mother Leela, was admitted in NIMS Medicity for dialysis. Daniel alleges that the doctors didn't bother to treat his mother after she fell sick post dialysis. Thiruvananthapuram: A Chennai based techie, Merlin Daniel has accused NIMS Medicity, Thiruvananthapuram of negligence and unhygienic treatment. Six months ago, Daniel's mother Leela, was admitted in NIMS Medicity for dialysis. As Daniel’s family members lived in Kerala, he thought it would be best to admit his mother in hospital in Kerala. After the first dialysis, the 57-year-old woman felt uneasy and began to vomit. Daniel alleges that the doctors didn't bother to treat his mother after she fell sick post dialysis. In the second dialysis too, Leela showed signs of illness and threw up again, and once more, the hospital didn't bother to provide the necessary care, alleges Daniel. Lacking faith in the hospital, Daniel decided to take his mother back to Chennai. She underwent treatment at Gleneagles Global Health City. This time however, she was perfectly alright. It was after consulting doctors in the other hospital that Daniel came to the realisation that his mother’s sickness post dialysis could have been caused by contaminated water. Daniel blamed NIMS hospitals for their lack of knowledge and care, and blamed the hospital for making his mother continue to suffer. Daniel has tried contacting hospital authorities, but he alleges that authorities did not bother to attend his calls. MyNation spoke to the hospital authorities and the doctor who attended to Leela for her dialysis procedure, who said that the hospital had provided necessary care to Leela. 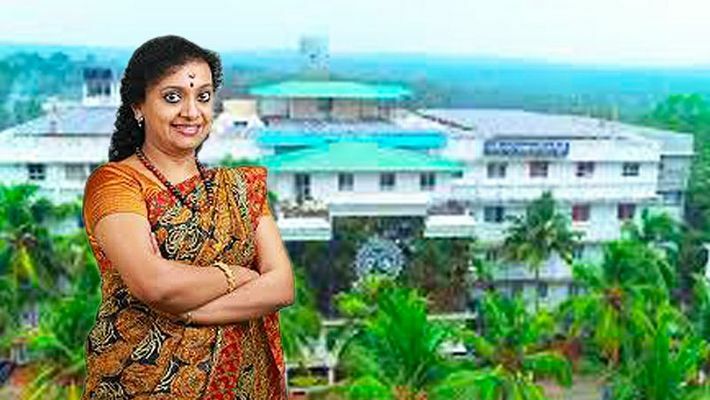 Dr Manju Thampi said that these accusations were baseless and also invited any authorities to check the water for any contamination. Dr Manju also said that Leela, who came from Chennai had undergone tracheostomy which resulted in an infection, and this led to vomiting. “The hospital authorities requested Leela's family to have the Tracheostomy tube changed in Chennai as this procedure can only be done in the facility that inserted the tube, but they refused to do it. After a month, the family finally changed the tracheostomy tube. This delay caused an infection, so much so that pus started to ooze out from the tube,” Dr Manju said. A quality department official also spoke to MyNation and said that hospitals usually have audits conducted for water contamination once every six months, but in NIMS, these audits are carried out every month. The doctor said the hospital authorities are moving to register a defamation case against Daniel for his ‘invalid’ comments.